Ellis Athletic Center offers a unique fitness experience in the Philly Suburbs. We are not a big-box or discount gym; we are a newly renovated 22,000 square foot commercial fitness center with a “Boutique” exclusive studio feeling. Our affordable fitness center offers over 50 classes a week including Zumba, yoga, and Bootcamp. We also offer along with small group training, outdoor fitness and senior fitness classes. We have over 50 pieces of cardio with personal viewing screens as well as plenty of strength and free weight equipment. Courts and fields are always available for rental as well. We pride ourselves on having a unique gym atmosphere that is comfortable for all members and that you are treated as a friend first and foremost. We are not a membership factory and you will see that immediately upon your first visit. We are located in the middle of the beautiful ELLIS PRESERVE on the corner of 252 and West Chester Pike in Newtown Square. Our newly renovated locker rooms offer amenities that include towel service, toiletries such as Q-tips, cotton balls, shaving cream, aftershave, mouthwash and more. Rental lockers are available along with laundry service for your workout gear that will be washed and waiting for your next visit. Personal Trainers are always available to assist you in your workout or to take your program to the next level. You can even treat yourself to a refreshing shake from our Juice Bar before or after your workout! 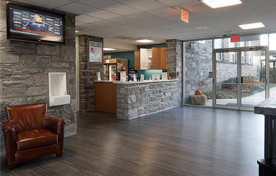 Ellis Athletic Center is part of the Newtown Square community. We invite you to come to our gym and experience the EAC difference for yourself.